I go to the supermarket once a week for my family's food supply enough to last for a week as I don't have time to visit our grocers daily to get fresh produce. I usually place fruits and vegetables in fridge to preserve it. The cooler temperature in the refrigerator keep most fruits and vegetables from spoiling rapidly. When I sometimes overestimate how quickly the family members consume my purchases, I get down on their eventual waste. By the week's end, we often find ourselves with fair share of wilted greens and bruised fruits. Now Electrolux NutriFresh™ Inverter Refrigerators has the capacity to ensure freshness and getting all the nutrients out of the fruits and vegetables as often as you can. The Electrolux NutriFresh™ Inverter Refrigerators comes in variety of models and sizes. You may choose from the Three Door NutriFresh EME2600MG, Top Freezer NutriFresh ETB4602AA and French Door NutriFresh EHE5200AA. The 2-Door model is ideal for small families and single residents. For larger families and appetites, there’s the 3-Door refrigerator while the French Door refrigerator is the biggest in the range. The Electrolux NutriFresh™ Inverter Refrigerators have a host of features designed to keep food, especially fruits and vegetables, fresh. The NutriFresh™ Inverter Refrigerators is equipped with a FreshShield Crisper which comes with a unique tight seal to keep temperatures stable, minimize water loss and provide higher humidity so that fruits and vegetables stay fresh for up to 7 days. Store up good health with better refrigeration. The NutriFresh Inverter technology keeps temperature consistent for freshness and up to 37% energy savings. The unique FreshTaste Deodorizer feature works in tandem to attract and absorb stray odors and eliminates 99.8% of bacteria. 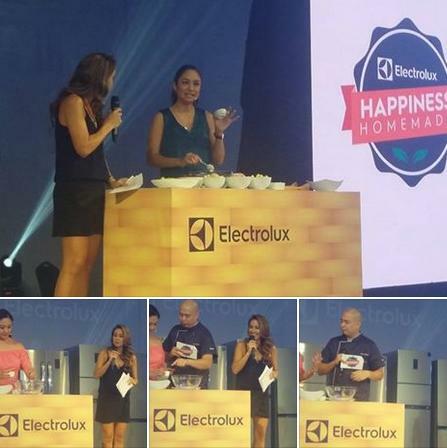 For more information, visit electrolux.com.ph, and follow them on instagram.com/electroluxph, and facebook.com/ElectroluxPhilippines.